Bill's OBX Beach Life: April and the Heavy SSW! April is here and the OBX has been experiencing some excellent warm windy windsurfing conditions! SSW has been on tap near daily since the start of the month, and we have had some real blasters so far keeping the small stuff wet! If you were/are here now, I am sure you have experienced some FUN sessions, and if you are on the way later this month or in May, it should be killer! 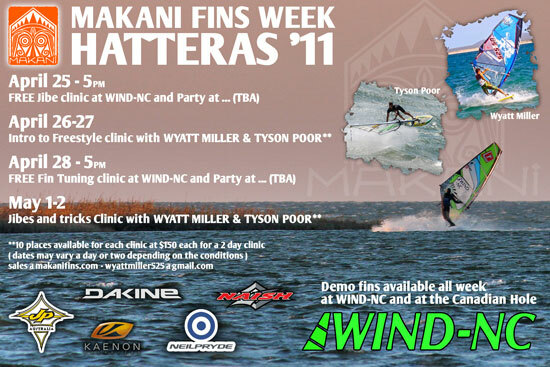 Also, lots happening this Spring ranging from the Windsurfing Mag Board Tests to the Makani Fin/Freestyle Clinics coming in late April. I will also be hosting SeaLion demos in May/June for those interested in trying the light air wave ride! Be sure to contact me if you are interested in taking this unique light air wave stick for a spin! As for recent action, check out these shots submitted! 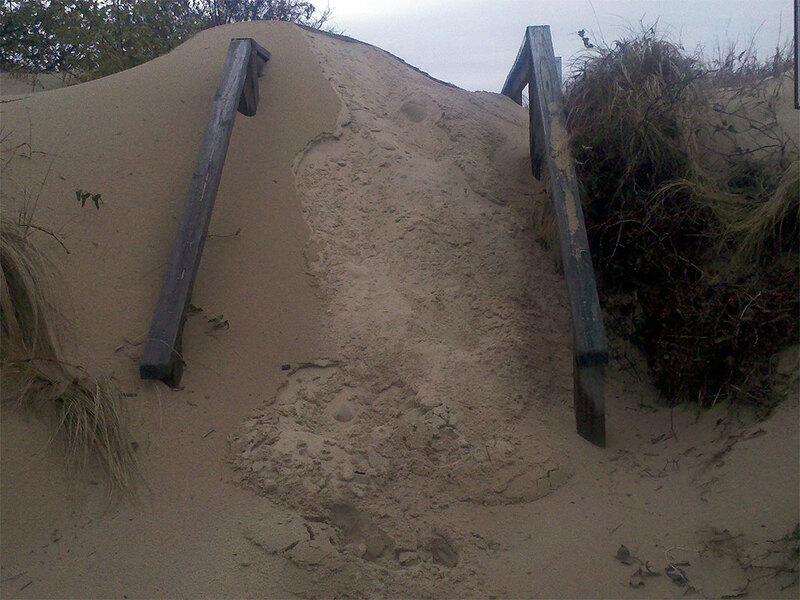 This first one is the buried walkover at Jockey's Ridge following the heavy blow a few days ago when I broke out the 3.7m in the previous post. 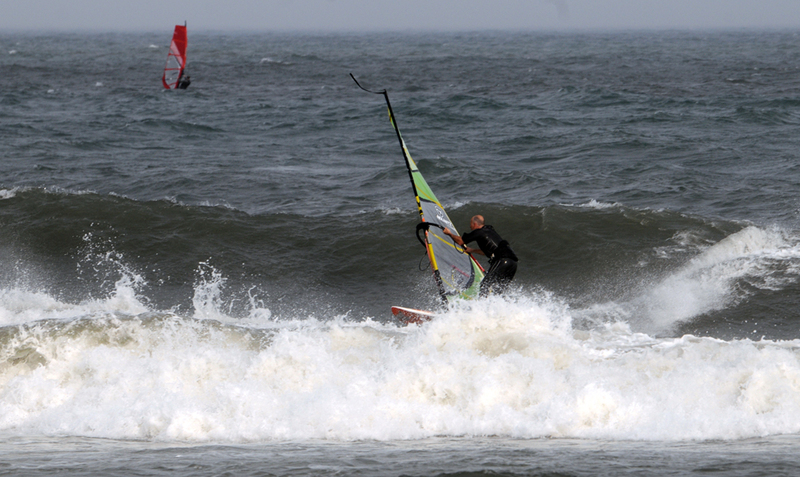 Keith McCulloch on a wave yesterday at Ramp 34 in Avon! 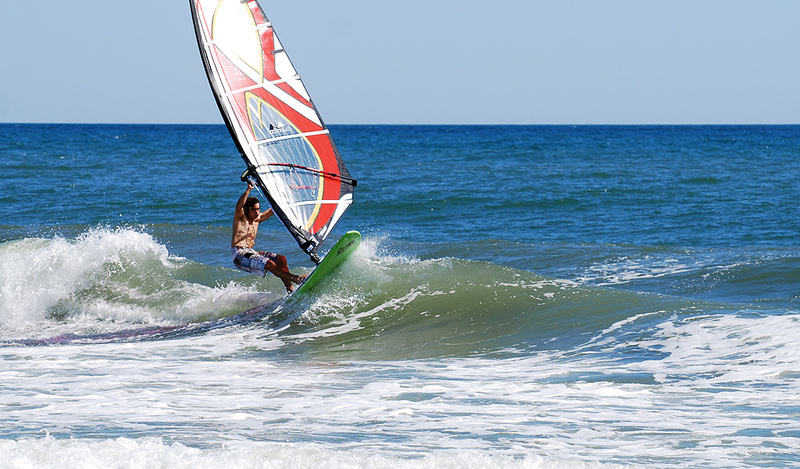 All in all, the FUN factor is high in Hatteras as the Spring season rolls! Hope to see you here soon! PS: Its blowing strong SSW right NOW!! Ramp 30 anyone?! Nice Bill! We had 2 good days of hot sw up here at the local hole. You guys should have an awesome evening. Nice windsurfing shots, yes, but LOVE the buried stairs!